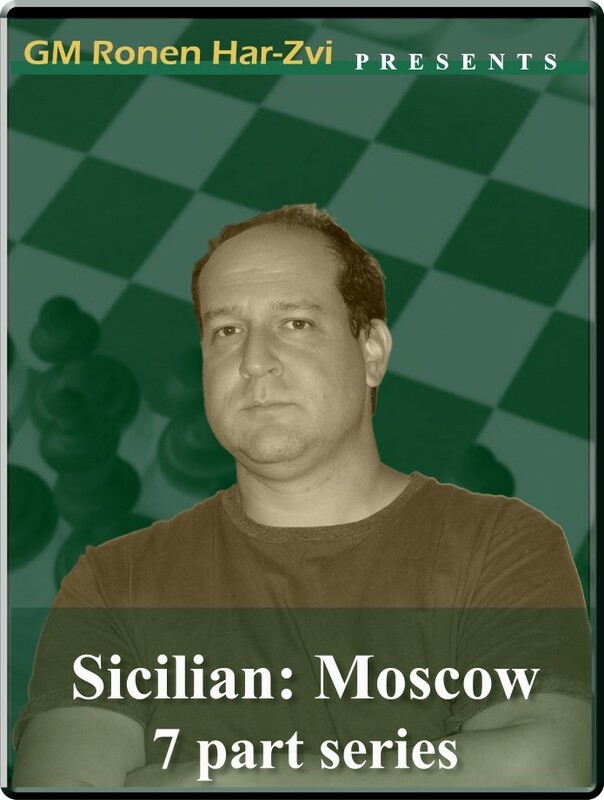 New Ideas in…: Sicilian: Moscow Variation (7 part series). B51, B52: Sicilian: Canal-Sokolsky (Nimzovich-Rossolimo, Moscow) attack. Playing the White side of the Sicilian is a tricky business these days with all that main-line theory to remember. Indeed, if White is looking to present Black with some real problems while still avoiding mountains of theory, then the Anti-Sicilian Bb5 lines – more specifically, the Rossolimo (1.e4 c5 2.Nf3 Nc6 3.Bb5) and the Moscow (1.e4 c5 2.Nf3 d6 3.Bb5+) – might just be the way to go. They are easy to play and often can resemble a Ruy Lopez - not what Black is looking for. Even players such as Anand, Carlsen and Svidler regularly use it - and with excellent results. So in his latest series “New Ideas In….” GM Ronen Har-Zvi examines the Anti-Sicilian Bb5 lines. New Ideas in…: Sicilian: Moscow Variation (7 part series). B51, B52: Sicilian: Canal-Sokolsky (Nimzovich-Rossolimo, Moscow) attack. Playing the White side of the Sicilian is a tricky business these days with all that main-line theory to remember. Indeed, if White is looking to present Black with some real problems while still avoiding mountains of theory, then the Anti-Sicilian Bb5 lines – more specifically, the Rossolimo (1.e4 c5 2.Nf3 Nc6 3.Bb5) and the Moscow (1.e4 c5 2.Nf3 d6 3.Bb5+) – might just be the way to go. They are easy to play and often can resemble a Ruy Lopez - not what Black is looking for. Even players such as Anand, Carlsen and Svidler regularly use it - and with excellent results. So in his latest series “New Ideas In….” GM Ronen Har-Zvi examines the Anti-Sicilian Bb5 lines.